The Big Island of Hawai‘i is the largest Hawaiian island (as well as the largest island in the United States). The volcanic island covers over 4,000 square miles, but is only home to a fraction of the Hawaiian population, leaving lots of outdoor spaces to explore. Explore the Big Island’s dramatic beaches, gushing waterfalls, historic sites, and evolving volcanic features. A rugged coastline circles the island, lined with tide pools that host sea turtles and tropical fish. The island’s interior is covered with volcanic landscapes and rainforest-draped ravines. 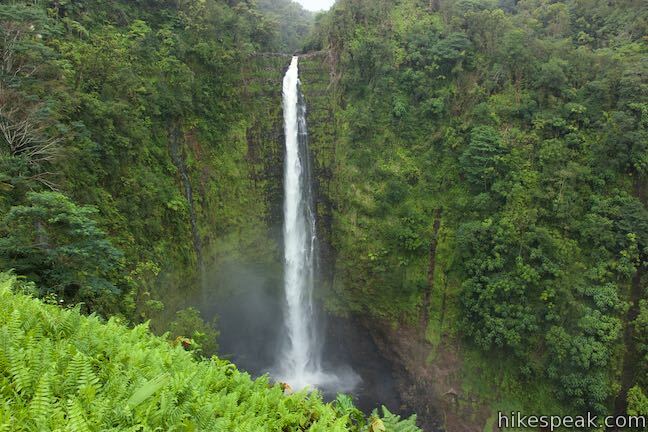 Waterfalls are abundant, including ‘Akaka Falls and Rainbow Falls. On the north side of the island, Waipi‘o Valley is a special place to visit. Five shield volcanoes make up the Island of Hawai‘i: Kohala, Mauna Kea, Mauna Loa, Hualālai and Kīlauea. The largest volcanoes are Mauna Kea and Mauna Loa, each rising to over 13,000 feet tall. The summit of Mauna Kea is the tallest point in Hawai‘i, at 13,802 feet. Visit Hawai‘i Volcanoes National Park to see how Kīlauea Volcano has changed and is changing the land. The Big Island of Hawai‘i is the youngest of the Hawaiian Islands in geological terms and continues to grow from volcanic eruptions.